Today’s Khan and Hearn news in the boxing world has caused absolute chaos so far on social media among fight fans. 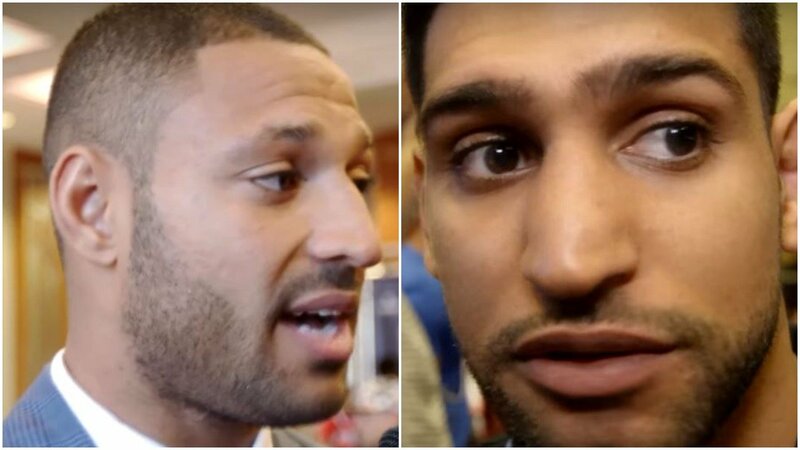 Many are now calling for the long-awaited Kell Brook vs Amir Khan fight. Sometimes in boxing promoters do one heck of a job. They build something up and get people waiting. In this case though it was the boxer. Amir Khan did this yesterday on Twitter when he told fans that an announcement was coming today at 12pm and man, did it ever. The news was confirmed a short time ago that Amir Khan has joined forces in a shock move with promoter Eddie Hearn’s Matchroom Sport as part of a three fight deal. Your old man said he would get knocked out again when he returns, does he still share that opinion? Tune up April, Brook in the summer and a Brook rematch regardless of outcome after that.